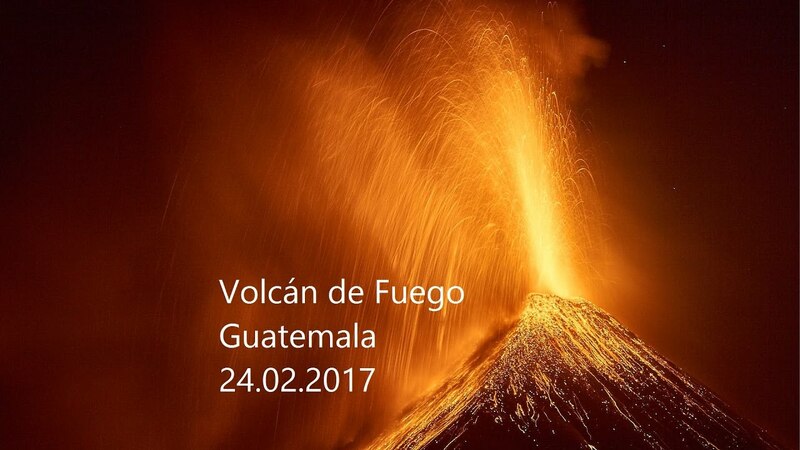 Volcán de Fuego (Spanish pronunciation: [bolˈkan de ˈfweɣo]; Spanish for "Volcano of Fire", often shortened to Fuego) or Chi Q'aq' (Kaqchikel for "where the fire is") is an active stratovolcano in Guatemala, on the borders of Chimaltenango, Escuintla and Sacatepéquez departments. 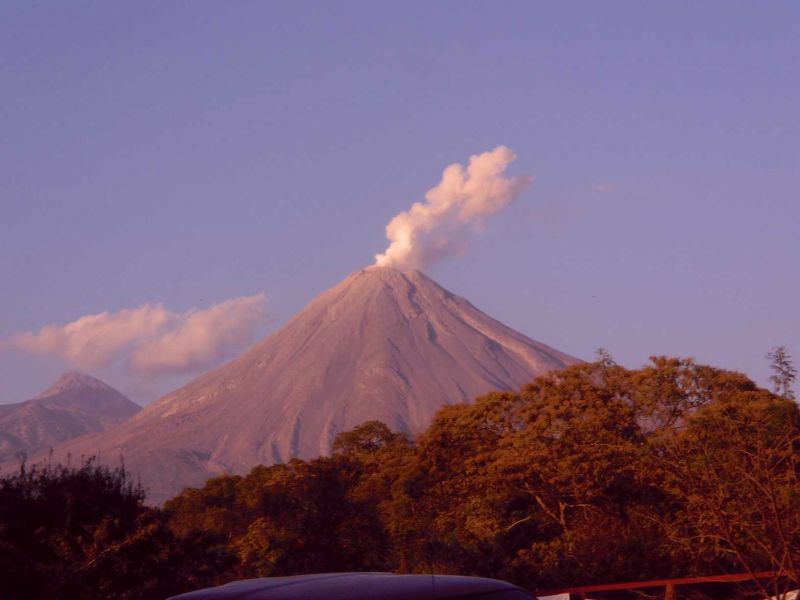 It sits about 16 kilometres (9. 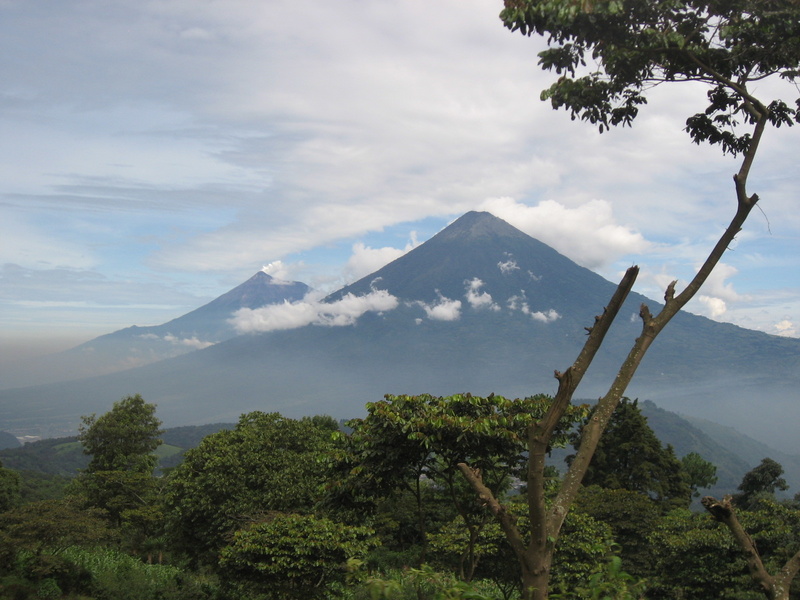 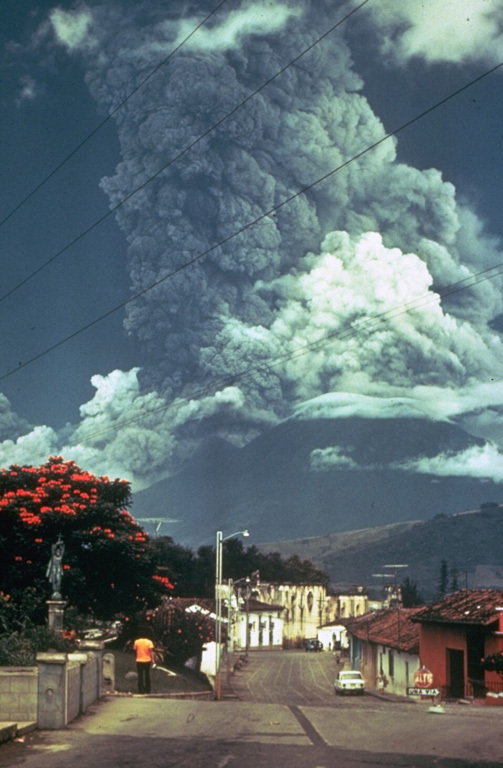 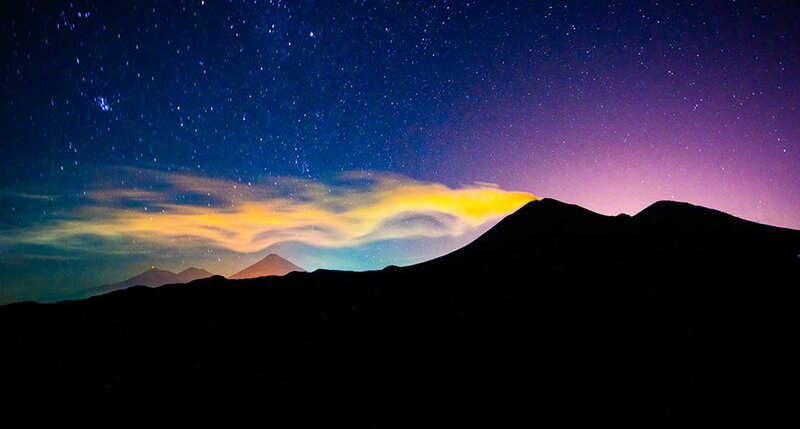 9 mi) west of Antigua, one of Guatemala's most famous cities and a tourist destination. 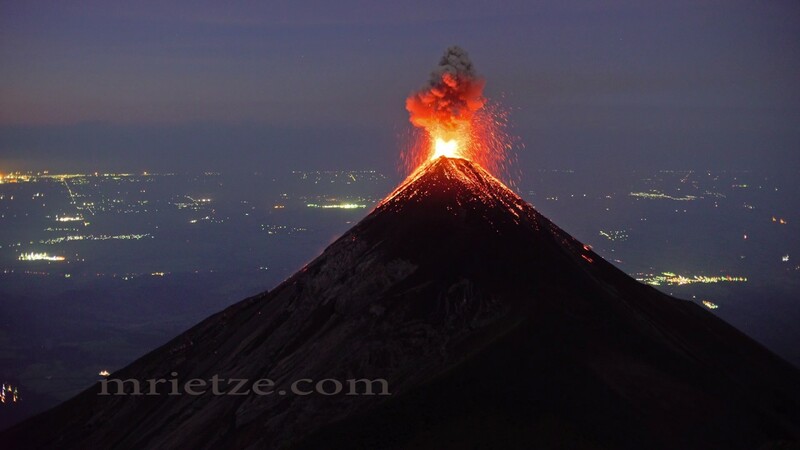 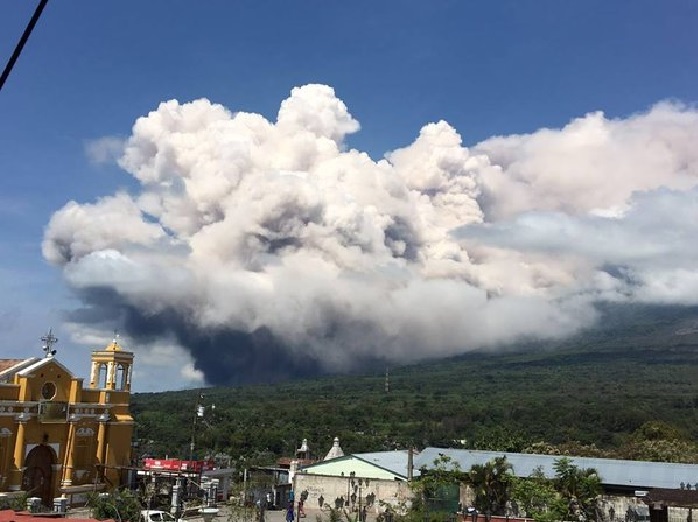 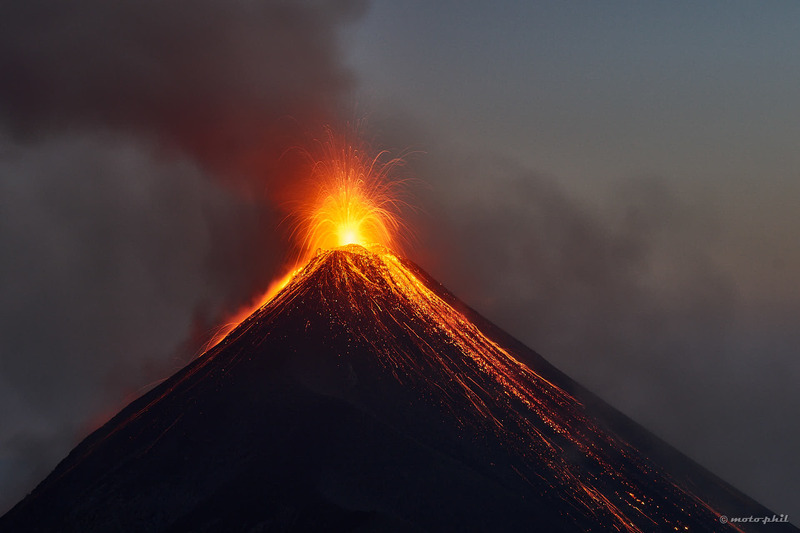 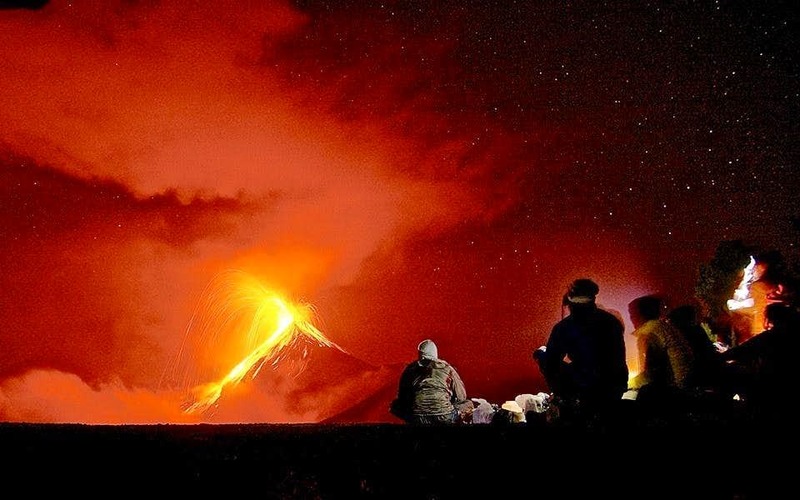 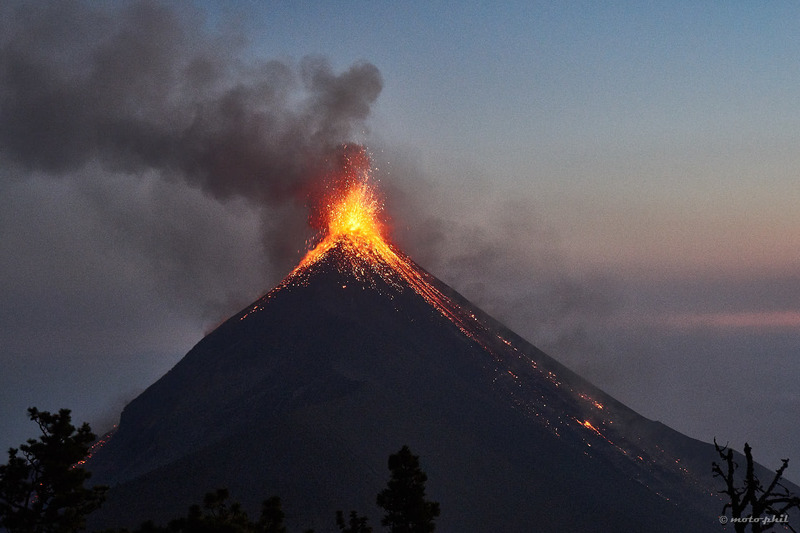 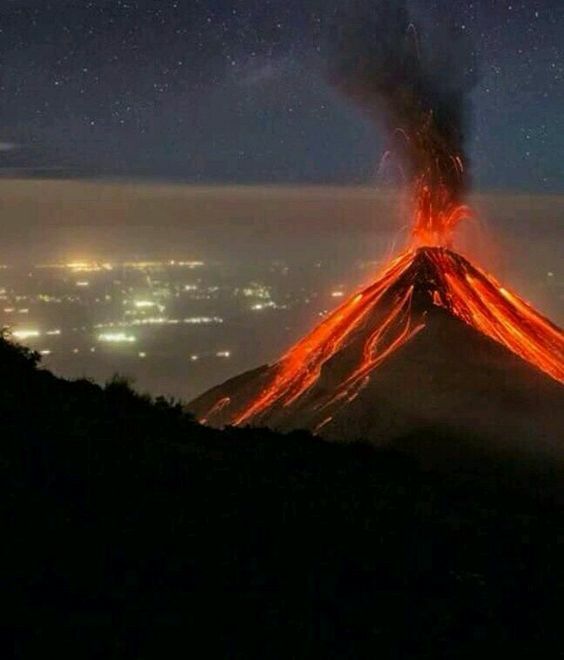 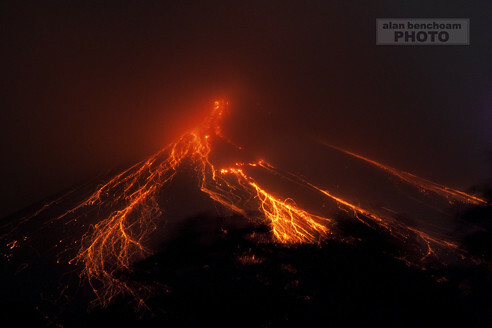 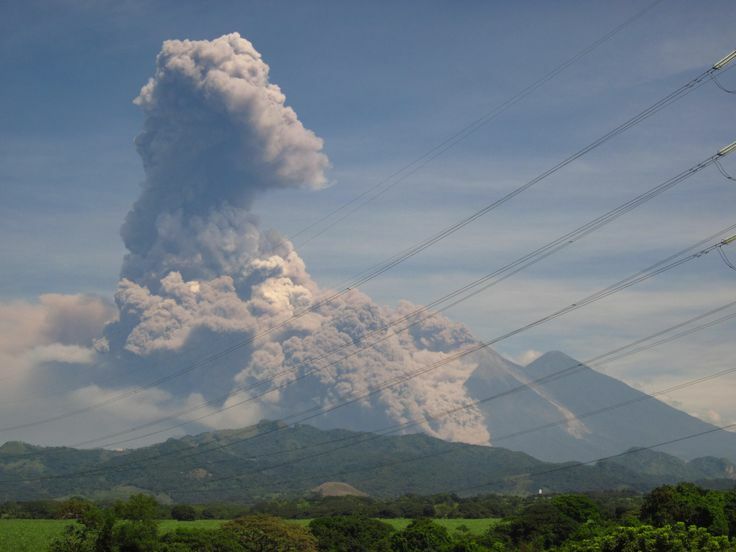 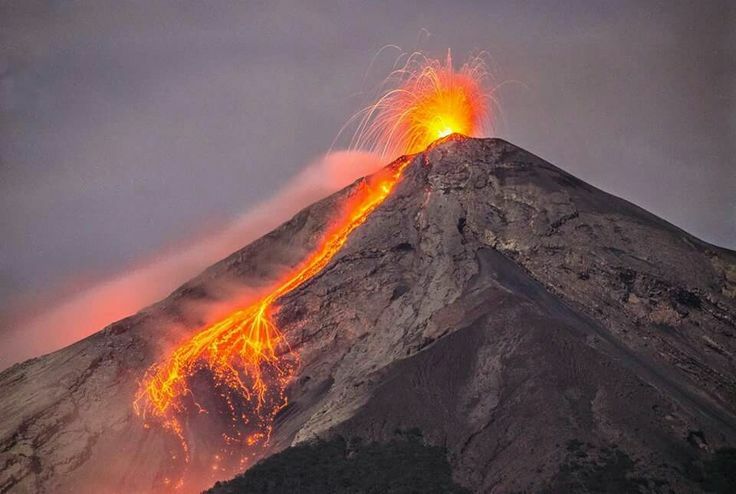 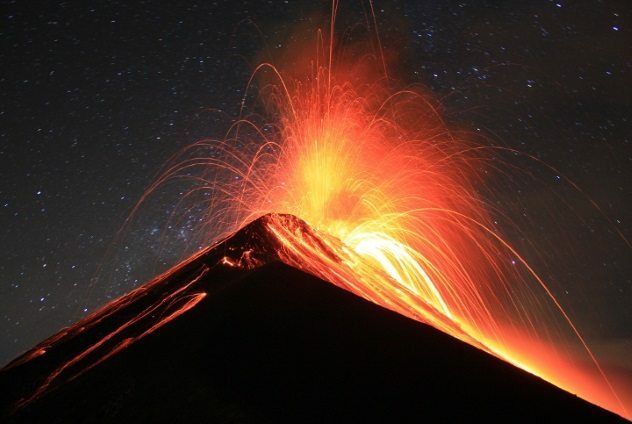 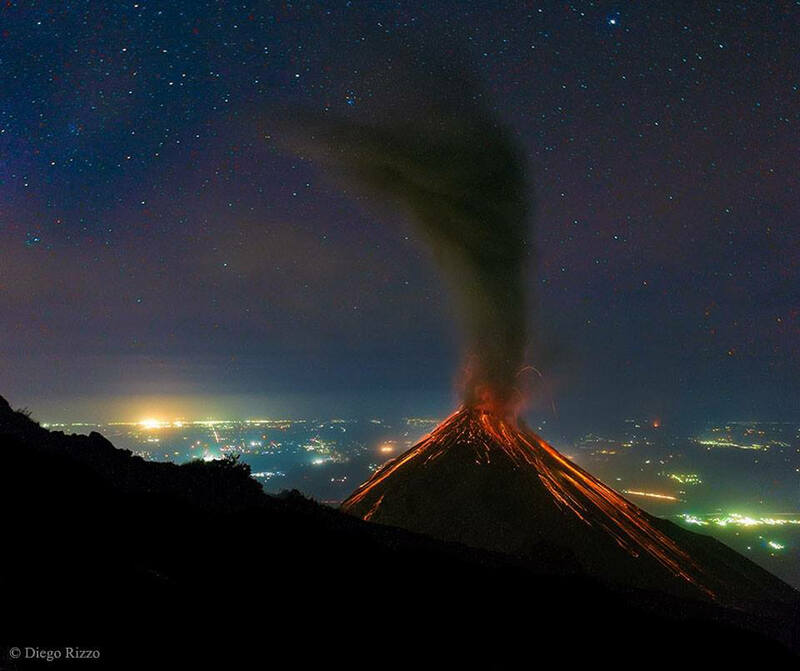 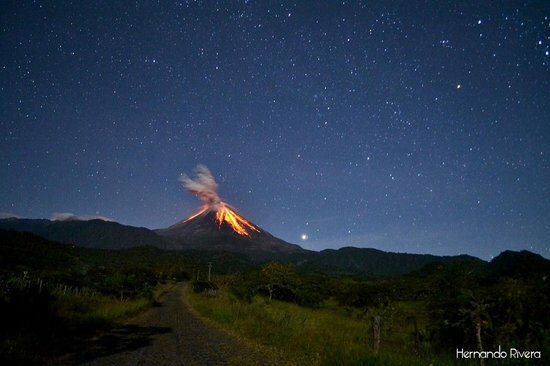 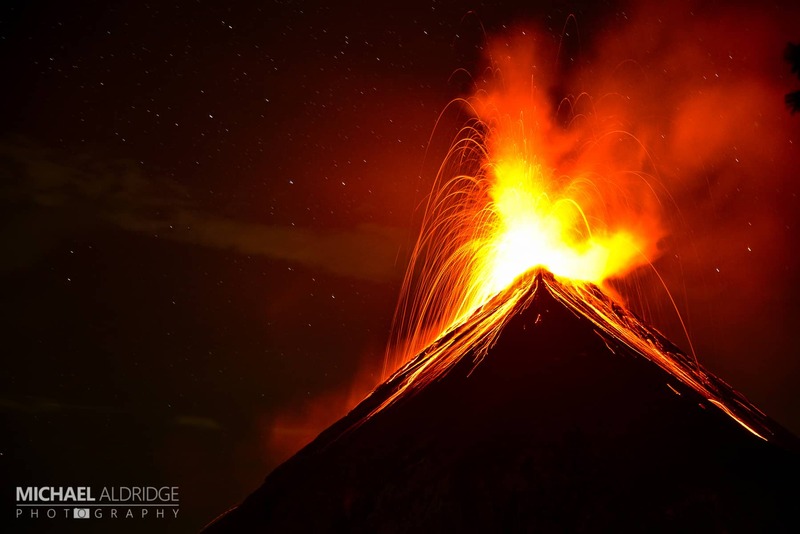 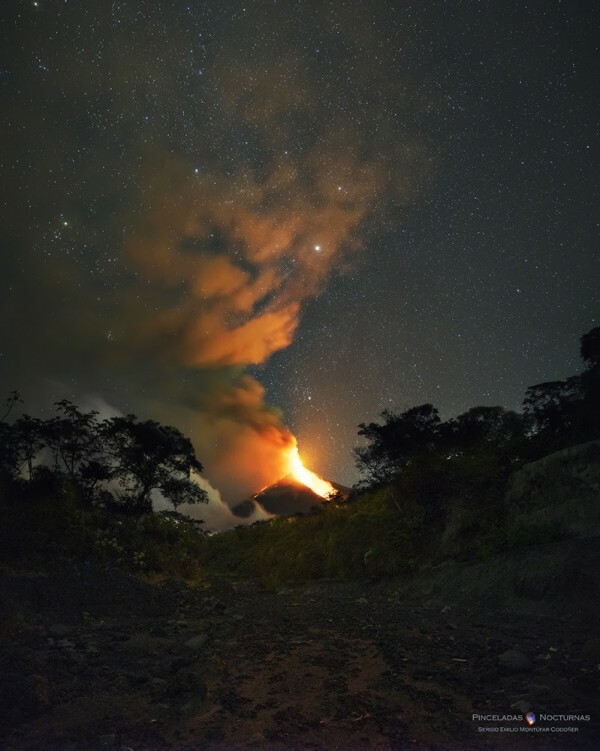 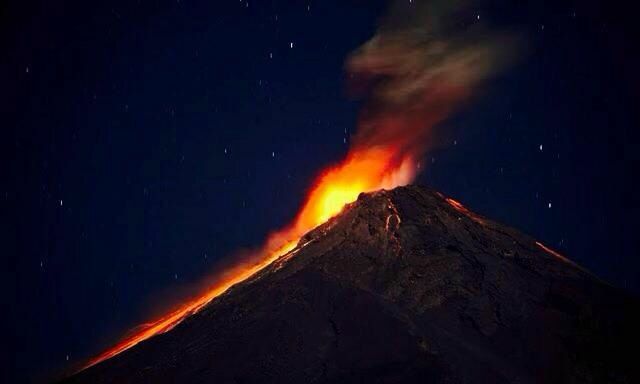 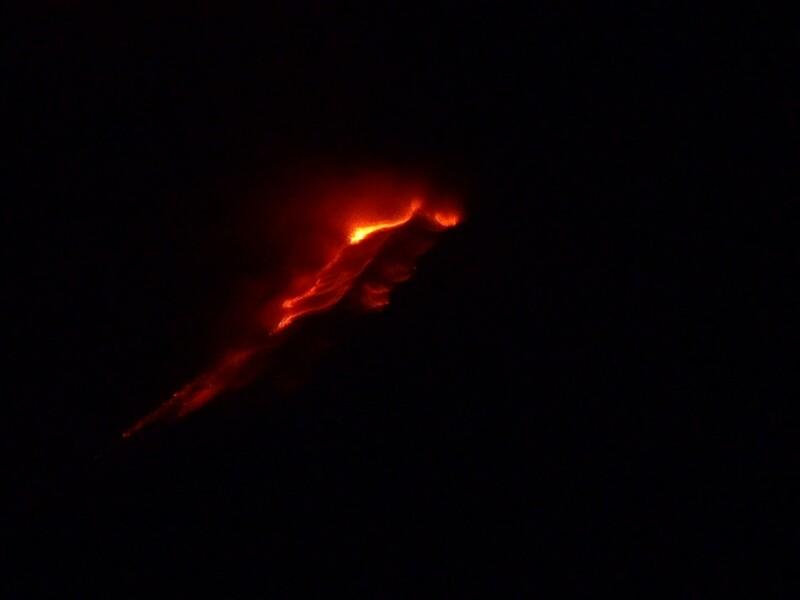 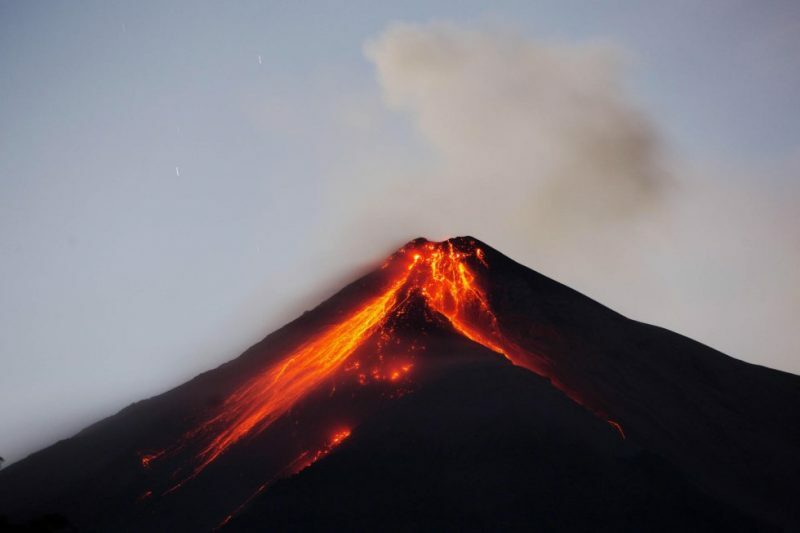 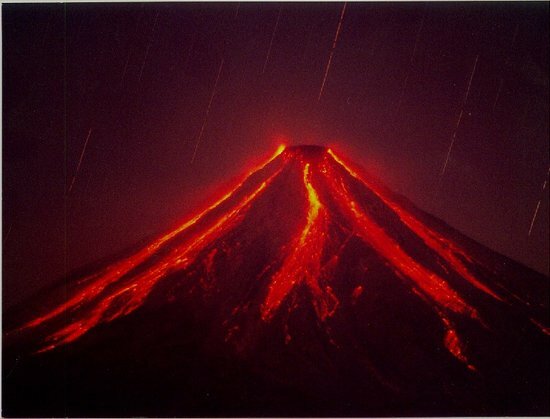 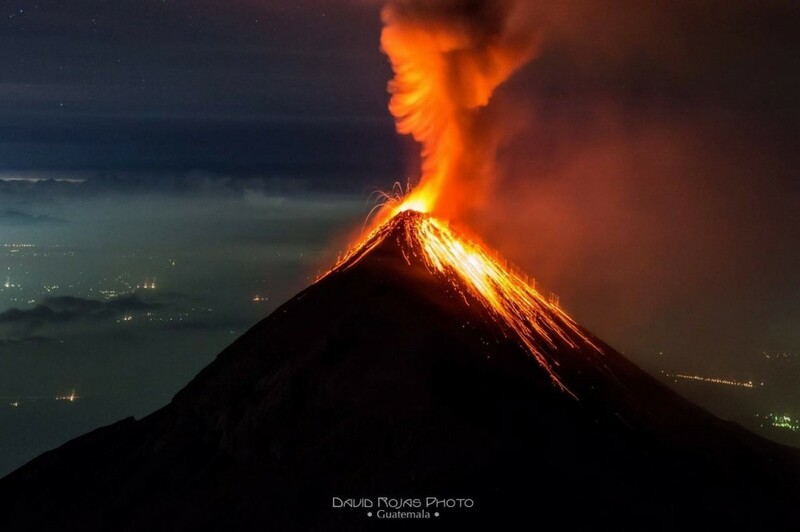 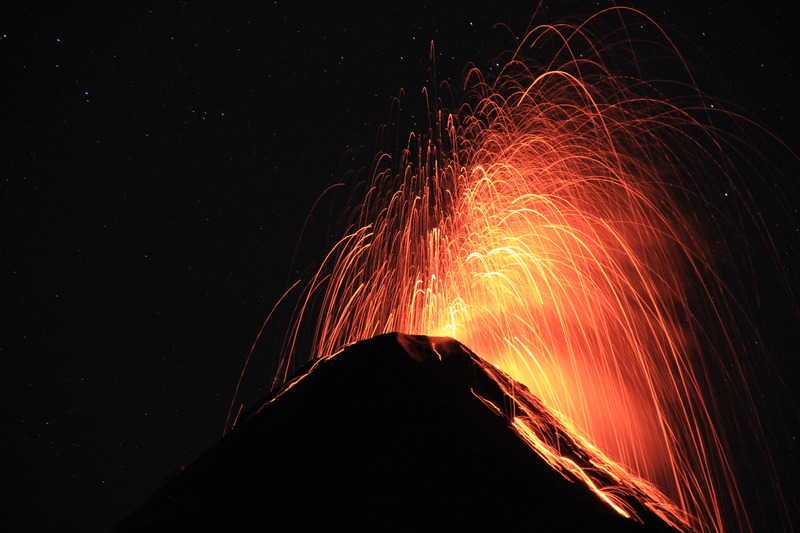 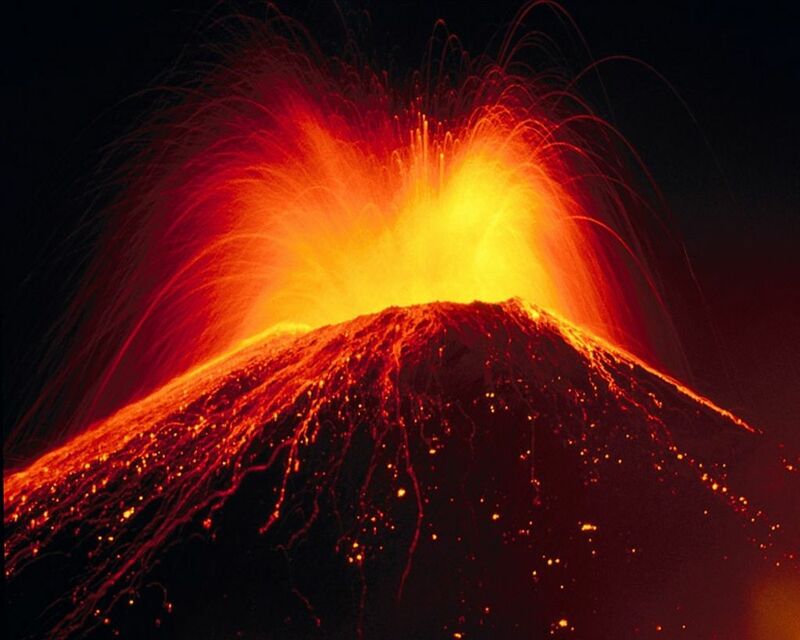 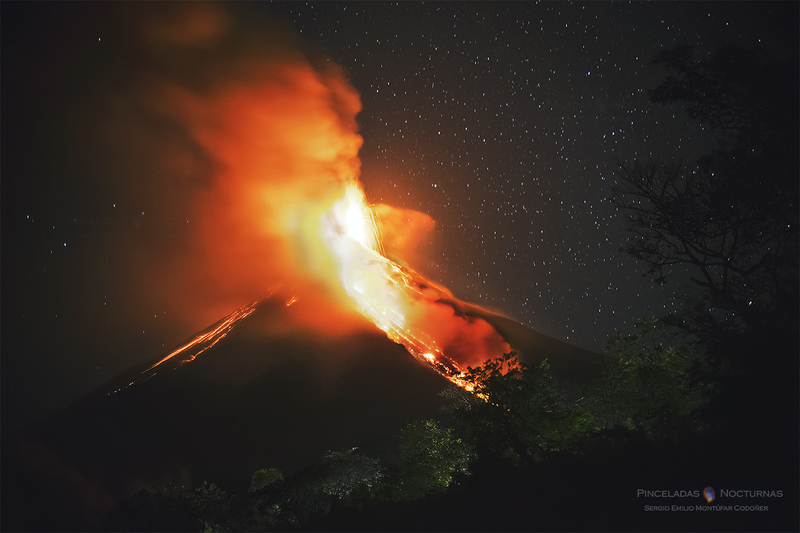 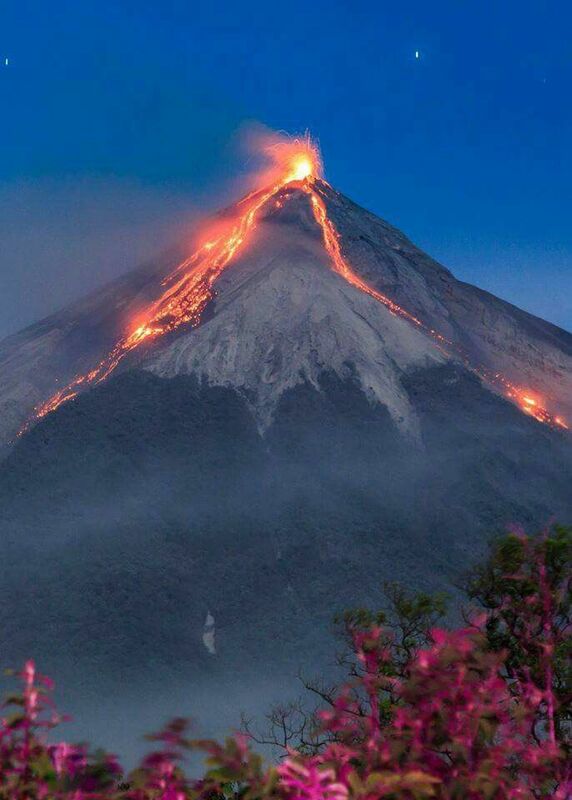 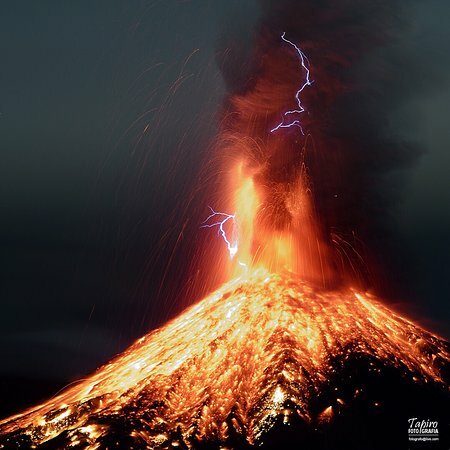 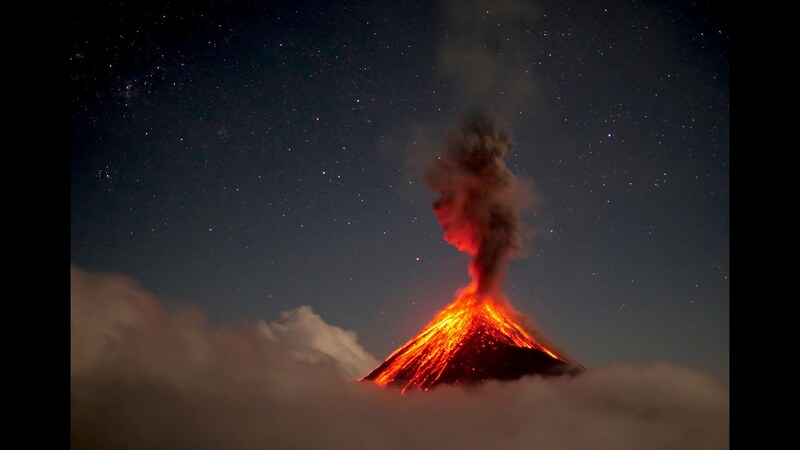 It has erupted frequently since the Spanish conquest, most recently in June and November 2018.